New evidence that ‘faulty’ serotonin activity takes place within a particular gene - and that this contributes to social anxiety - has been uncovered by scientists in Germany. Researchers at the University of Bonn are now looking for volunteers with social anxiety to take part in further studies to confirm whether the disorder may have hereditary as well as environmental roots. 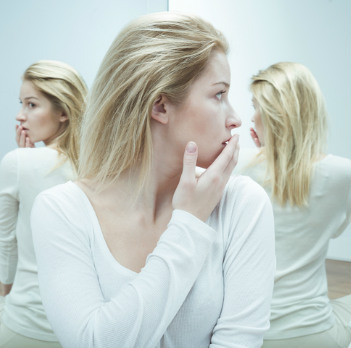 Social anxiety disorder involves excessive and unreasonable fear of social situations. People with social anxiety are prone to avoiding situations in which they are exposed to judgment by others. Bonn researchers identified a gene that suppresses feelings of anxiety and depressiveness, with results set to be published in the journal Psychiatric Genetics. The research team investigated the DNA of 321 patients and compared it with 804 control individuals. The scientists now want to investigate more closely what the links are between the DNA and 'social phobia'. “In order to achieve this goal, we need many more study participants who suffer from social anxiety,” said Stefanie Rambau, the study coordinator. Many existing anxiety treatments manipulate and interact with serotonin activity.